UPDATE: In spring 2018 I updated my GPU on my Ryzen Stealth build and I moved the old GPU a RX470 to this build. Sorry had not taken extra pics after. Was time for an update to my HTPC, old one did well for the last 7 years but now its going for retirement. I mainly use an HTPC for all my media (no cable TV bill) and I run older emulators on it from NES, SNES, GBcolour, GBA, N64, PS, and PS2 with USB controllers. I am glad this new PC FINALLY has usb 3.0 as the old clunker only had the 2.0 ports. As far as the prices go it's all in CAD and the parts I had set to 0 were parts I had before. At the time it was $30 more than the G4560 and only 100mhz faster but it has Intel HD 630 graphics instead of 610 which online benchmarks shows is about 80% faster and as I am not using a dedicated video card I thought that was worth the price jump. 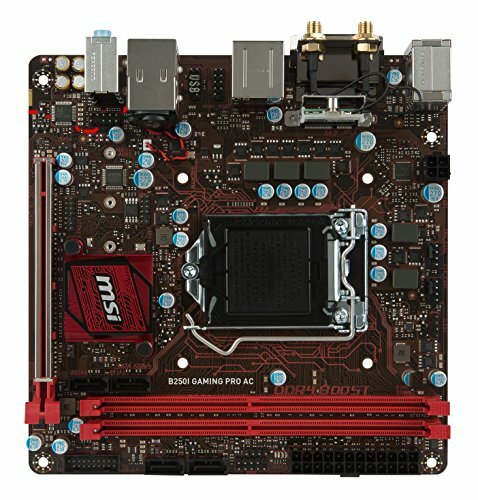 Cheapest ITX b250 chipset board I could get with AC wireless built on. I can't believe I bought an MSI board /ashamed. At least it's working well for this build and I do enjoy the fan header on the board has DC mode so it can control the speed of a 3 pin fan without the need of a fan controller. I set it in the bios for a fan curve according to CPU temps. One I upgraded my old HTPC with a couple years ago for cheap and I didn't find the need to buy a new one. I don't need much storage on this PC because I got my main workstation with 9TB of storage it can access over my network. This drive still boots windows quick and I had no issues with it. It JUST fits in my TV stand, I mean I can cram a few sheets of paper on top of the case to the shelf above it. Air flow plan on this is in through the front and out the back. Should not have any temperature issues especially since it's a really low powered system. Cable management was a nightmare in this case with no place to tuck cables and a non modular PSU. I did what I could to manage cables but at least I won't have to worry about them blocking airflow. My largest gripe is when I got it the case badge was MISSING and all it had in its place was an ugly glob of glue. The case badge was not even in the packaging it came shipped in. I knocked some stars off for lack of quality control. 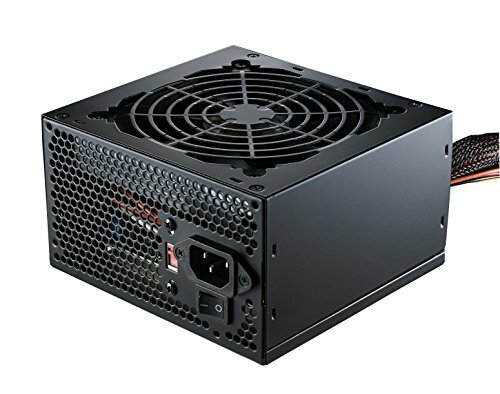 Max system power draw is ~100w so this PSU is complete overkill. I was forced to replace the PSU in my old HTPC last year when the fan died in the old one. As this PSU is not that old I decided to use it in this PC and not buy another. This was super cheap after mail in rebate and does the job fine. 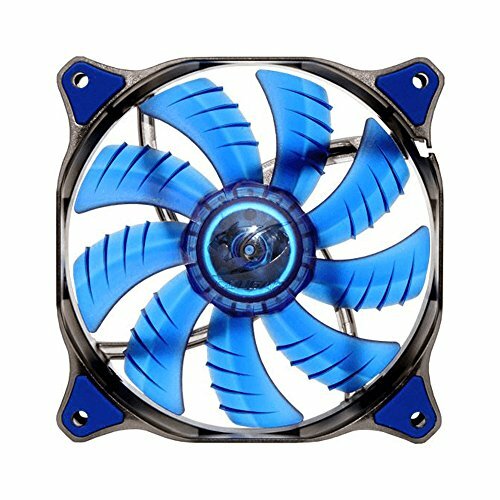 I used this fan in my Ryzen Stealth build and I was really happy with its performance and looks, not to mention decently priced for what you get. 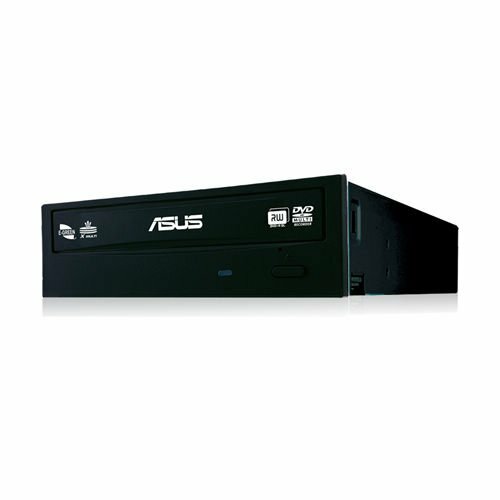 Nice and silent which is important for an HTPC. Too bad I cheaped out on the CPU cooler and went with stock as that is the loudest fan in the PC. Best couch keyboard ever. Doesn't feel cheap and the range is far more than I need. I mean I can co out on my back porch and it still works at that range. The extra left click button on the top left is nice so I can basically hold it like a game controller with my right thumb on the touchpad and left thumb on the left click. I had that keyboard for over a year now and it is still rocking the original pair of AA batteries it came shipped with. Almost 9 years old, got as a rescue, had to be bottle fed as a kitten because mother didn't make it. She is lucky to be alive today and has had 8 years of being spoiled rotten since I got her. What some people do to animals makes me sick.. Almost 9 years old, got as a rescue, had to be bottle fed as a kitten because mother didn't make it. That is really sad. My condolences go to the mother cat. She is lucky to be alive today and has had 8 years of being spoiled rotten since I got her. So it was animal cruelty. I get disgusted by people like that too. They severely abuse and torment smaller weaker animals, just because they can and will get a sick thrill from it. What an utterly petty and cowardly thing to do. Lets just say old owner took his frustration out on the mother cat and kittens and my sister walked in on it, she was able to save 2 of the kittens and she was one of them. I am leaving out the most horrid parts. The kittens were only a day or 2 old by this point. If my sister was even a few minutes later none of the kittens would have made it. That's why I say she is lucky to be alive today, she is a great cat and loves to make herself a part of everything I do at home lol. I am leaving out the most horrid parts. Have you considered getting a lp gpu. Like the gt 1030 or rx 550. There is also the gtx 1050 for a bit more. If you did that than you would be able to do some real couch gaming. But if you have no need than it would be useless. Great build, Except the cats. Cats are from hell. Well my old Radeon HD 5570 in my old clunker did well the Intel HD graphics 630 is actually more powerful but that can be expected from a budget graphics card from 2010. I didn't add a video card this time (it can fit a full sized one so space isnt an issue) as to cut costs but if I find the budget to do so later on it will be super easy to install. I also bundled the PSU wires in such a way I can undo the 6+2 pin PCIe power plug easily to power said video card. Nice. Well if you can fit full sized gpus in there than I would advise looking on the used market. I was not sure if the case did or not. Good luck on future upgrades. MAY YOUR FRAMERATES BE HIGH AND YOUR TEMPS BE LOW. ALL HAIL THE GLORIOUS PC GAMING MASTER RACE. 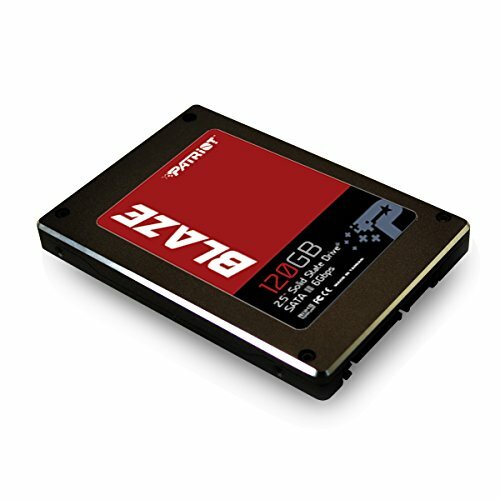 If I ever upgrade the RX 470 in my Ryzen Stealth PC (also on pcpartpicker) then ill move that card to this PC but I don't foresee myself doing that any time soon due to budget. For most of my Gaming and video editing I do that on my other PC. Ok. The 470 is a great card. I have one myself. When it launched it was not really worth it but when they started dropping to $160 ish they became the best card for the money. Now thanks to these miners there are not cards. That case looks very small considering it has room for an optical drive and an ATX PSU. Or, maybe the cat is enormous! Can this play dota 2? How was the fps? I don't play dota 2 and I haven't tried gaming on it just yet, I was going to try world of warcraft for kicks as I normally play it on my gaming rig but I will try dota 2 sometime, I think it was free 2 play but don't expect expert play from me. 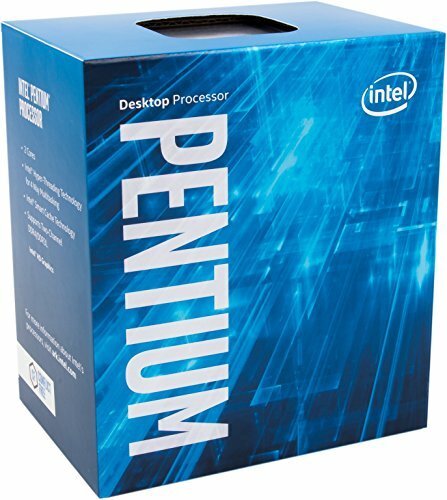 If I wanted this to be an awesome budget gaming PC all I would have to do is add a video card by this point but the most hardware demanding games I play on my Ryzen. Old console games do not require that kind of power. Nice build. I was looking at the same chip to beef up my plex server and maybe ever try it with some old school console emulators like you do. Have you tested it yet with any of the PS2 emulator? Yes I have, solid 60 FPS on Final Fantasy 10. My other emulators are working well too so it's definitely doing its intended job well. I may have to get new USB controllers though as mine are getting old. I am just glad my PS2 emulator can access my game library over my network since I got all my games on my main PC. 120gb ssd isn't too friendly to bulk PS2 games and with 9TB of storage on my other PC it's fine. My SNES emulator can't access games over the network but its game library is about 1.2GB and that's hardly much on its own. This is also partly why I wanted wireless AC, 60 MB/s wireless speeds over the old PC having 12 MB/s with wireless N.
Cool I will have to check this out then. My old Optiplex 755 with a weak E7200 was my media server and I was debating of put some parts in it for under $100 to get it back up and going for plex or do a build similar to yours. I build the retropie using a raspberry pi 3 and it got me hooked again on the console games but the pi3 is limited to about the PS games only. They came out with hyperpie pc which can run on the computer now, dont know if you have checked those out pretty cool if you havent. Ill have to go off your build for sure and see what I come up with. I mainly play my controller friendly games on the HTPC and my other games on my main rig. Yes, my cat insisted to help with the build by getting into everything lol. She tried to sit in the case before I put the motherboard in it. Yes she is, you got a good eye.